While Democrats continue to put lipstick on the pig, Obamacare proves itself a failure. Recently, Leftists beamed about signups for Obamacare. At the time 800,000 people signed up, and the Left pretended this portended even better numbers. But they were sorely disappointed. The number of people signing up for ObamaCare has surged in the first few weeks of open enrollment this year, contrary to dire predictions. The spike in sign-ups is good news for supporters of the health-care law, but experts warn the early numbers don’t necessarily signify a trend. Final enrollment numbers could still be much lower than in the past, they say. The first ObamaCare open enrollment period of the Trump administration has been surprisingly robust, despite the uncertainty caused by nearly 10 months of repeal attempts in Congress, rising premiums and insurer exits. Through the first 18 days, nearly 2.3 million people have signed up for insurance coverage through ObamaCare exchanges, according to the Centers for Medicare and Medicaid Services, a number that has outpaced the same period under former President Barack Obama. So understand that Obamacare has been the law of the land, and the legislation “outpaced the same period” under Obama. In other words, the legislation that is supposed to be dyed-in-the-wool is keeping pace. Or is it? Larry Levitt, a health policy expert at the Kaiser Family Foundation, said enrollment is up significantly on a daily basis, but cautioned against drawing conclusions from the early numbers. The reason they caution against drawing conclusions is because the article is fake news. Overall enrollment is down, as the article points out. There are a number of factors that could weigh down enrollment this year. Standard & Poor’s earlier this month forecast that enrollment could actually drop by as much as 1.6 million people below last year’s level of 12.2 million signups, in part due to uncertainty from the administration’s actions. Factors that could way down enrollment? How about factors that will weigh down enrollment. Expectations are that Obamacare will drop 1.6 million, but we all know this number will be larger. And what did Obamacare promise? We were told that 31 million people are uninsured in America, and they claim to have 8 million signed up. 700,000 have stopped paying for insurance out of the 8 million enrollees announced in April. 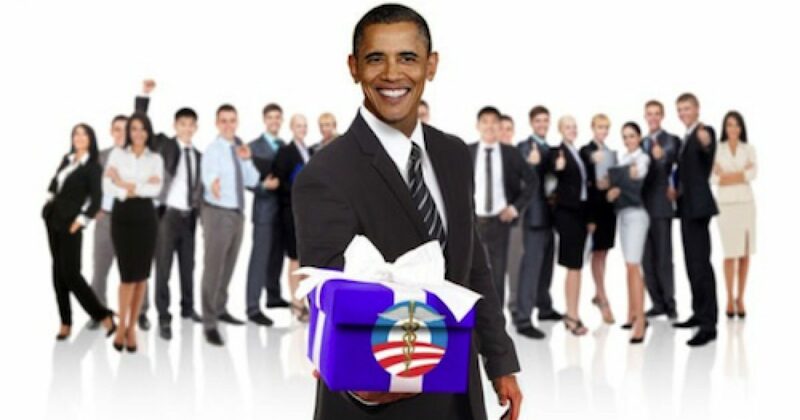 This video claimed at the 5-year mark of Obamacare 16 million were insured. Using those numbers, Obamacare lost 3.8 million, and that was before President Trump. Moreover, 35 million remain uninsured. One would think given how fantastic the Left says Obamacare is, that after 7+ years everybody would be on it. And how do we measure the damage of Obamacare to the what about the millions who lost their healthcare plans. And due to costs, the millions more who now have little to no choice in healthcare coverage? The Left now looks for excuses for when Obamacare dies. First, they blame the shorter open enrollment period, which President Trump cut in half and now ends Dec. 15. Even if sign-ups stayed on pace, they would fall well short of previous years because of the shortened time period. Next, they will blame ending the individual mandate. This begs the question, “Why would you need to mandate something so good?” It’s a rhetorical question. Obamacare is failing for all the right reasons. The legislation was reparations for blacks, and a metaphorical win for white Leftists. Neither of those wins means a win for America. Obamacare costs more and delivers less. And like it’s namesake president, the legislation will eventually fail dramatically. It will then go on the dung heap of history.